First Impressions are lasting. Our Pledge is to insure a positive impression to everyone who enters your facility. 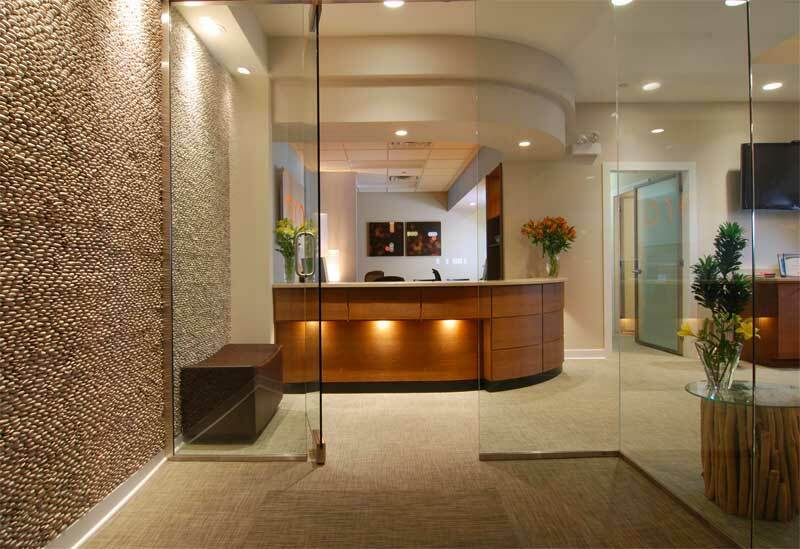 Entrance Glass: Glass in entrance doors and receptionist partitions will be cleaned each service on both sides to remove smudges and fingerprints. 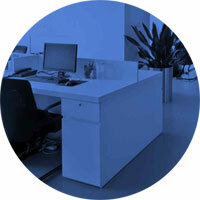 Furniture: Reception desk and table tops will be polished or damp wiped. Vinyl furniture will be damp wiped as well. Upholstered furniture will be vacuumed. Floors: Floors will be mopped or vacuumed at each services. Hard surfaces will be spray buffed per the agreement. Dusting: Tops of desks, file cabinets, machines, shelves, tables and any other furniture will be dusted with a treated cloth each week. Low dusting of chair legs, desk/ table legs, baseboards, ledges and vents will be done according to the agreement. High dusting of ledges, picture frames, door frames and high vents will be done according to the agreement as well. Desks: Desk tops will be dusted with a treated cloth each week. Papers left on desks will not be disturbed. Desk accessories including monitors, calculators, calendars, letter trays or etc will be dusted. Telephones: Dusted and sanitized according to the agreement. Window Sills/Blinds: Window sills or blinds will be dusted according to the agreement. Furniture: All vinyl furniture will be damp wiped and dried. Upholster furniture will be vacuumed. Both done according to your agreement. 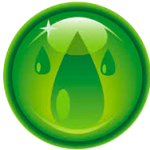 Water Fountains: Water fountains will be cleaned, sanitized and polished. 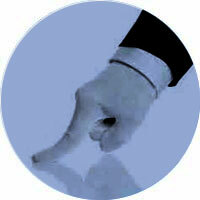 Finger Marks: Finger marks and smudges will be removed from desks, partitions, doors, light switches, and woodwork. 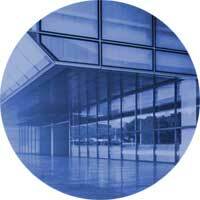 Glass Partitions: Partitions glass will be spot cleaned as needed. Walls: Marks and smudges will be removed from walls as long as their removal does not spoil the general appearance of the walls. Trash Disposal: Trash containers will be emptied each service and trash taken to designated area. Plastic liners from your stock will be installed as needed. Trash containers will be cleaned when needed. Tile Floors: Tile floors will be thoroughly swept and then treated with a dust mop and spot mopped each service. Floors will be damp mopped as needed. If interested in buffed/waxed floor treatments check out our specialty services page. Mats and Runners: Mats and runners will be spot cleaned each service and thoroughly vacuumed or damp mopped. Restrooms: Restrooms must be clean, fresh and sanitary on a consistent basis for you, your employees and guests. Special effort is always given to this area to assure your satisfaction. Fixtures: Toilet bowls, seats, urinals and sinks will be cleaned and sanitized each service. Bright metal will be cleaned and polished. Restroom Trash: Trash containers will be emptied each service and trash taken to designated area. Plastic liners from your stock will be installed. Exterior or metal containers will be cleaned. Glass: Glass and mirrors will be cleaned and polished each service. Walls: Splash marks will be removed from walls around sinks and dispensers each service. Ceramic walls will be spot cleaned weekly. Partition walls and doors will be spot cleaned each service, wiped down and sanitized per agreement. Dispensers: Dispensers will be cleaned and polished each service and supplies installed from your stock each service. Restroom Floors: Floors will be swept, damp mopped and sanitized each service. Lunchroom, Kitchen, Break Room Areas: Every effort will be made to provide you and your employees a clean, sanitary and enjoyable break area. Counter Tops, Cabinets & Metal Work: Counter tops and sink area will be cleaned each service. Cabinet exteriors will be spot cleaned each service and thoroughly cleaned per agreement needs. Bright metal will be cleaned and polished. Furniture: Tables and counter tops will be damp wiped each service. Chairs will be spot cleaned each service. Microwave Ovens: Microwave ovens will be damp wiped and cleaned inside and outside as needed. Vending Machines: All machines will be spot cleaned as needed. Trash Containers: Trash containers will be emptied each service and trash taken to designated areas. Plastic liners will be installed from your stock. Exterior of metal containers will be cleaned per agreement. Floors: Floors will be vacuumed, swept and damp mopped each service. Tile floors will be spray buffed, stripped and waxed per agreement. For cleaning at locations other than Denver, Colorado area we can send your contact information to one of our other branch offices located in metropolitan areas in Texas, Georgia, California, Missouri, and Kansas. Just let us know and we will see if your business location is in our service area, we will also give you the name of the person who will contact you. Copyright 2016 Patriot Building Services • Site Map • Content by Bit Consulting & Sales "The Internet means business - grow with it"